So, I'll repeat for effect: is anyone thick enough to still believe these 20,000 armed military are there to stop some 3-5,000 unarmed civilians, with exhausted and sick women and children. First, how do you know the invaders are unarmed? Second if you want to deter further incursions up have to put up a show of strength. As for the sick, exhausted women and children? Most of the stories I've seen shows the caravan is made up of 80 to 90 percent young men, also if you were paying attention you'd see that their clothing is in very good to like new condition, none look like they've missed any meals. An invading force doesn't have to represent a country, case in point...ISIS. But it does have to be armed and hostile. Well, they've already shown that they are hostile, they already refused Mexico's offer of amnesty. As for armed, that could fall under, clubs, knives, ect. Sure it could be up for interpretation. But the constitution is on our side. I developed a pet peeve during this thread. It irritated me to watch some members (not you) constantly say that we violated posse comitatus and are turning our backs on the constitution . It’s not a constitutional right it is a federal law there is a difference . On a sidenote I ran across something a couple days ago . After the end of the 1910 Mexican American border excursion. A permanent border wall was erected in some areas in 1919. Can you believe we been arguing about the same crap for 100 years ? Also I read earlier today that this was a request from the border patrol that trump just approved. The last 5,000 person caravan resulted in about 200 people reaching the border. Trump knows this one will be the same. Except now he will say his threatening to bring the military is why they didn't come. Truth is that most have no intention of coming. National guard and border patrol should be able to handle it. No military on US soil. Ordering it without an act of Congress is certainly an abuse of power and impeachable. Their power however stops at the border of the military base. The hostility of this group has been shown in countless videos. Can you show with 100% absolute undeniable facts that they are unarmed? Not an "I doubt they are armed", but actual 100% physical proof that they are not. They've been shown to be hostile to the United States? I don't think it is as clear cut. It really depends on how you interpret the use of the word invasion, some will argue that means a invasion by another state actor, a military invasion to take control of sovereign ground. That is not the same as a bunch of illegal immigrants trying to enter the country. 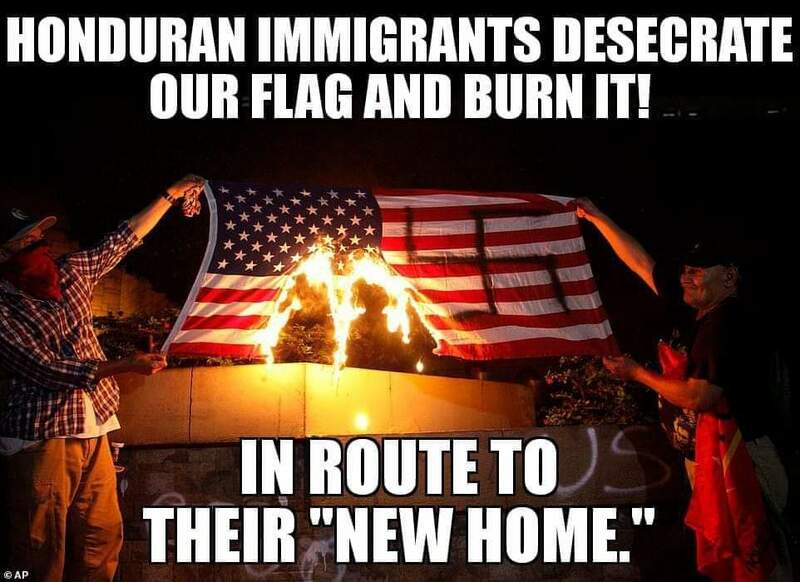 This really all depends on how you interpret and define invasion and please don't go running to a dictionary because with subjects like this definitions become very murky. It sure as hell doesn't look like they're riding in on unicorn farts and bringing rainbows.